From some times now, we have C compilers for 68K modified to output Genesis rom. I was always looking for a good IDE. I know Stef's using Code::Blocks but ...I just don't like it myself. Since I use Eclipse at work, I tried to use it at home too! Don't forget, you'll have to test yourself which one between Eclipse and Code::Blocks suits your need! Unzip your 2 files there, rename GenDevKit one as "sdk" and create a directory called "projects". 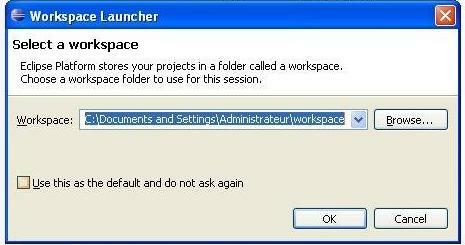 Browse to your "projects" folder and don't forget to check the "Use this as the default and do not ask again"
The workspace is where every project created on Eclipse will be physically created / saved. Don't panic ! You just need to click the "Workbench" button. That's all, your workspace is now correctly installed ! 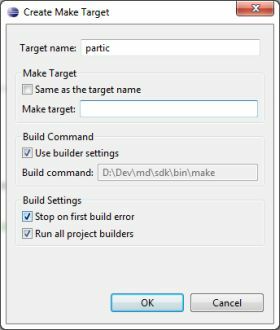 Stef's GenDevKit comes with a demo called "partic". 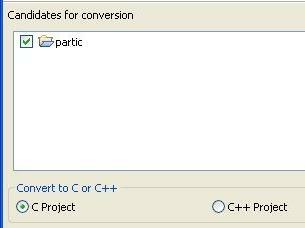 You could see "Use default location" is check and where your project "partic" will be save (for me e:/megadrive/projects/partic"
You must now add your source files. Right click on your project and select "Import..."
The makefile included in Stef's GenDevKit is perfect for classic use. But I updated it to be more flexible. It's very easy, I really dislike hard coded path so I used a variable to store GenDevKit path! 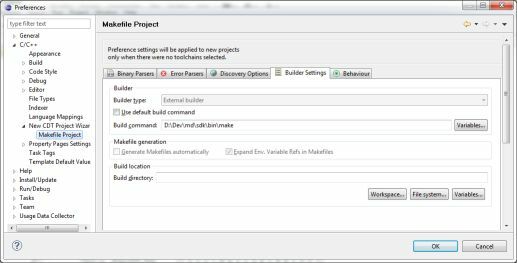 I choose Eclipse CDT because, in fact, it handles makefile project. But for that, we must have a "Makefile project"
Now, if you want, you can make some change to partic code. 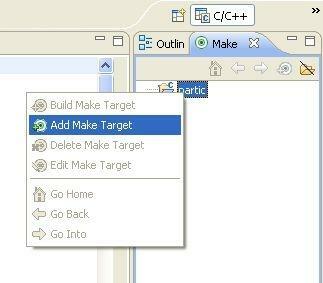 All you need to do is right click on partic Make target and...Build target! As you should know, Gens KMod lacks some features like trace and breakpoint to be a 'real' debugger. It's why I added 2 ways to inspect your value : debug register and watchers. The debug register is a fake register I added to let you talk from your code to Gens KMod console. The watchers let you 'watch' memory addresses. If the debug register is easy to use, the watcher is only usable for hacking an existing game...since your code-defined variable addresses change each time you compile. You so have to find each of your variable addresses and enter each one in watchers list....very boring! While talking with Fonzie about a way to do this, he pointed me to map.exe and nm.exe utils. nm2wch is born some hours later. This little tool is very useful : it creates the watcher list for you ! I use nm.exe from MinGW's GNU-Binutils package, since it's not included in GenDevKit. Then nm2wch for my website. What is /bin/sh ?!! sh.exe is the default shell make is looking for. Open your rom and open the watchers window : all your variables are here, you can now easily follow their values while playing ! Maccer is a tool I can't live without ! I often produce my gfx or sound files with my own tools, so I use Maccer to include them. It's a kind of replacement for 'bintoc', included in GenDevKit. 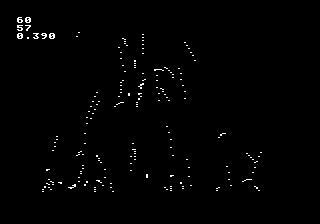 I made my own version of Maccer to support every Genesis C compilers. I use UCON64 to fix the checksum, pad the rom and convert it to a SMD file. If you have a backup device, you also could send the produced rom directly to your backup device! It enhances objcopy's padding feature, included in GenDevKit, and add CRC auto check, SMD convertion and upload to several backup systems or Flash cards. GenRes is my last gift to the genny dev scene. If you already made some Windows development, you should be familiar with WinRes. GenRes is similar. Throught a resource file, you can define resource to be used in your game. 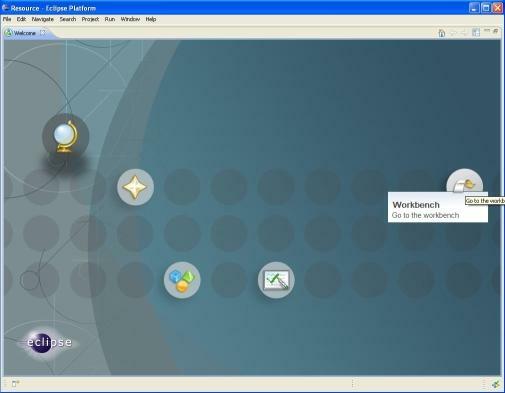 Include bitmap, sound and much more WITHOUT additional tools. You no longer need b2t or mmm, they are now available throught GenRes. And if you want to add support to your own resource, just write the plugin needed ! Oh, and since a lot of you use Pascal's genitile, I wrote a plugin to access genitile features from GenRes. For more info and to download it, see GenRes page.